The HEXO+ drone designed in mind for adventurers can record your action like no other drone. 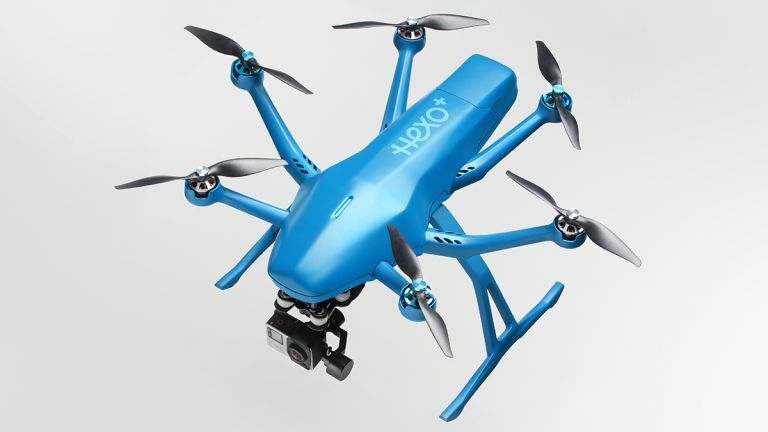 The HEXO+ combines superb aerial footage from a GoPro with a flight system that allows you to track and accurately frame you with predetermined camera movements from the sky. The process works by an automated system triggered from the HEXO+ smartphone application, so if you were thinking you'd be landed with a big clunky remote, then think again. Another issue people might be wandering about the HEXO+ is that it must be incredibly complex to set up a drone to track you, but according to HEXO+ staff, the drone is apparently so easy to use that “people of any skill can create compelling and professional grade imagery using HEXO+”. With outdoor adventures in mind, the scope of filming with autonomous drones is something that gets us rather excited. Imagine you're out snowboarding in the Alps with your GoPro, but really want aerial footage of you gliding down the slopes. Well now you don't have to pay thousands of pounds to hire a helicopter with a film crew, you can buy one of these drones instead! So for a device that pretty does the same function as a helicopter many will be thinking that the HEXO+ is going to be well out of reach for most, but actually you'll be pleasantly surprised. It's currently retailing for around $1,349, which isn't too bad. The slight drawback with this product which isn't made crystal clear, is that you have to buy the GoPro camera attached to the drone separately which unfortunately bumps up the price.